Replacing missing teeth has been a major issue due to the limited options available. TITANIUM IMPLANTS: these have a long track record but recently titanium has been implicated in causing autoimmune disorders. Moreover, many people are trying to stay away from metals implanted in their jaw-bones. PRO: adjacent teeth are preserved. Durable. CON: Expensive. Health concerns due to titanium. Esthetic challenges in the front tooth area. PARTIAL DENTURES: Constructing a removable partial denture or “flipper” is very conservative, however most people would understandably reject the idea, not to mention the awkwardness and discomfort associated in wearing it. It is mostly indicated for multiple teeth missing, or if all other options are not feasible. CON: Feeling of “foreign body” in mouth, not fixed, difficult to keep in, chewing difficulty, impaired taste. After the FDA approval just a few years ago, we now have a fourth option – METAL-FREE Zirconia implants. These have been used in Europe for over a decade. They offer excellent biocompatibility and stability. They may not be suitable in some cases, they are, however, an excellent and healthier option. HOLISTIC: for absolute metal-free dentistry Zirconia is the only viable choice. No longer is it necessary to implant Titanium or any other metal in order to replace a lost tooth. AESTHETIC: The Titanium implant creates a dark line around the gum. As Zirconia is white these unattractive coloration disappears. 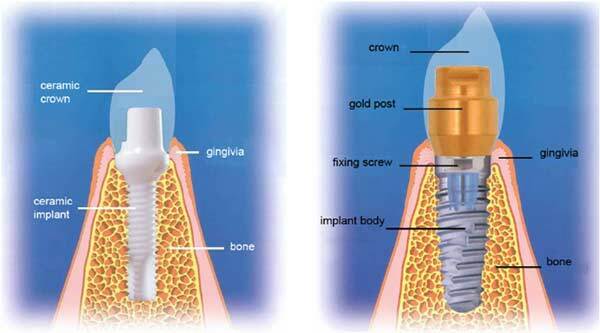 HYGIENIC: Ceramic implants and crowns promote healthier gums because they retains less plaque and calculus than Titanium. BIOCOMPATIBLE: As an inert material Zirconium has very low allergic potential. 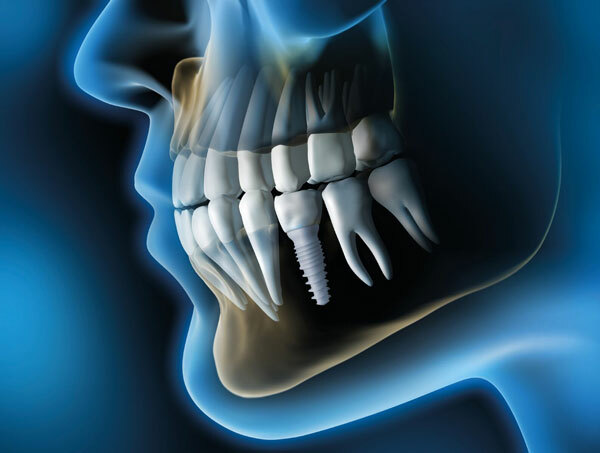 BONE-INTEGRATION: Numerous studies in Germany and the USA confirmed that Zirconia implants have a high level of bone-to-implant contact, meaning that the jaw bone will bond with the implant very well resulting in firmly seated implants.